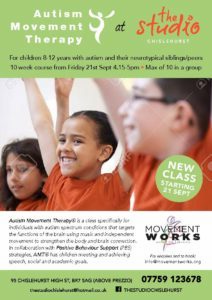 New Autism Movement Therapy sessions at The Studio in Chislehurst. A programme of 10 classes on Fridays from September 2018 for children 8 - 12 years old, their siblings are welcome to join also. At the very pleasant Studio One in Forest Hill, a programme of classes on Wednesdays from January 2018. 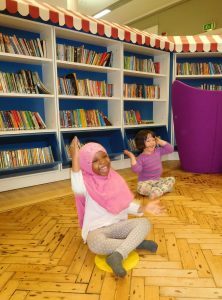 Family Learning Course was launched at Brixton Tate Library, funded by Lambeth Council and the European Social Fund. 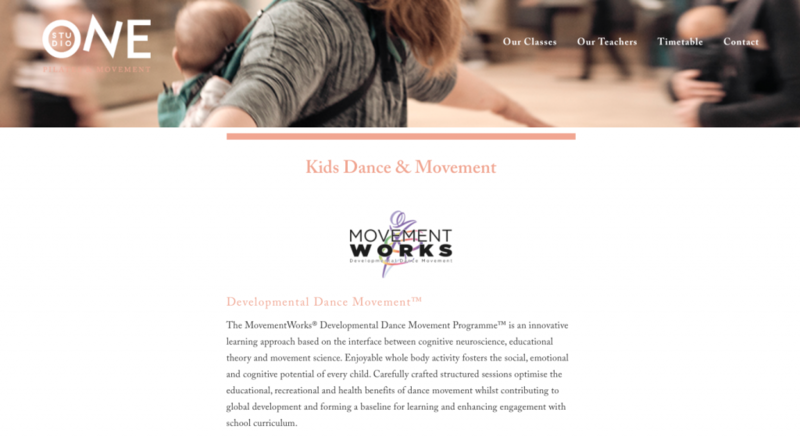 A MovementWorks drop-in class in Montessori House in Blackheath. This class is for all children, with and without special needs.